The Android tablet market is a bit dead right now, and it doesn’t look like it’s coming back anytime soon. Google has pretty much given up on the segment and so have most brands. 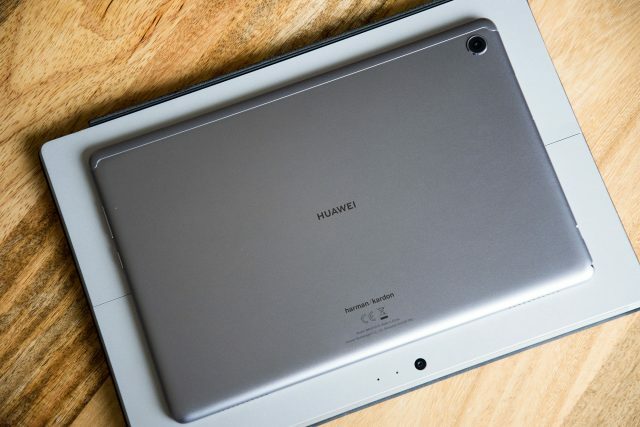 However, Huawei is still putting out some solid tablets for those who want to consume media on a bigger display without going the Apple route. The MediaPad M5 Lite is their latest offering, and it’s a budget take on the more powerful and more expensive M5 Pro model. The Huawei MediaPad M5 Lite is rocking mid-range specs, with a lower end Kirin 659 processor, which is about the equivalent of a Qualcomm Snapdragon 625 or 630, along with a choice of 3GB of RAM and 32GB of storage or 4GB of RAM and 64GB of storage. I’ve been testing the lower end model with 3GB of RAM, but the storage is of no concern as there is a microSD card slot. Just like its higher end brother, the highlight of this tablet is the quad Harman Kardon speaker setup. Two speakers face up and two face down, producing some seriously impressive sound. It lacks low end, but it gets very loud and remains clear. It’s great for media consumption, something tablets are made for. And unlike its higher end brother, the M5 Lite actually comes with a headphone jack! I know, it’s shocking to hear that a media consumption device with a focus on audio has a headphone jack. It always seems that paying less gets you more in the audio department. It isn’t a high power, audiophile experience (and the Histen audio effects should be turned off if you like pure audio) but it’s a regular headphone jack that you’d find on any other phone or tablet. Otherwise you’re getting many of the features from the M5 Pro, like the USB-C port, a (very quick) fingerprint reader, and the same sizable 7,500 mAh battery. Unlike its big brother, this tablet has a 1920×1200 display. It’s a step down in resolution, especially at this size, but it still looks very nice. Text is relatively sharp unless you look really close, and at this size your face won’t really be against the tablet. Colors are not very accurate but they’re vibrant and strong. However, this example has a bit of a green tint to it. The panel just has an odd tint to it, where whites don’t quite look white. This may be a defect and adjusting the color temperature in settings helped a lot, but it isn’t perfect. However, unless you’re comparing it to another device, you likely won’t notice too much. It remains a good panel. This may be the Lite version of the standard MediaPad M5 tablet, but it sure doesn’t feel like it. The front is a slab of black glass with nicely rounded edges. The rear is all one piece of aluminum with the only thing betraying the lower price being the plastic “cap” lining the top. This is for signal and is likely cheaper than a milled antenna line. The construction is solid, with no flex or bend when you twist it. The buttons are clicky and feel great. The SD card tray is made of plastic inside, unlike the higher end model, but this doesn’t make a difference. If you don’t have both side by side, you’d likely never be able to tell if this was the cheaper model. 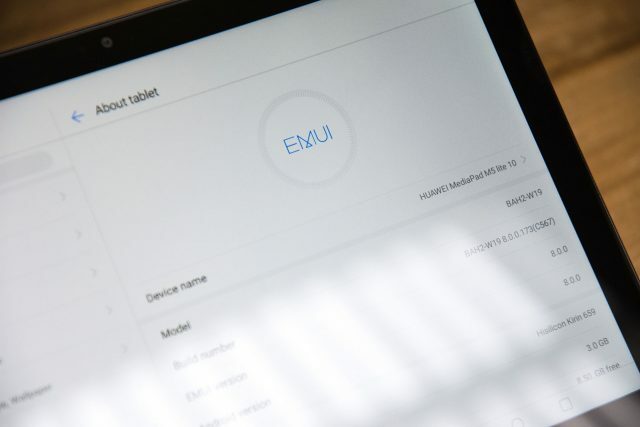 Here you’ll find exactly what you’d expect from a Huawei tablet: the companies EMUI skin on top of Android 8.0 Oreo. It’s not running Pie in 2019, which is a bit embarrassing, and we wouldn’t hold our breath for an update to Pie anytime soon. Huawei doesn’t have the best record with updates when it comes to devices other than flagships. However, the software experience is still pretty decent. Oreo is fairly recent and the EMUI experience is still leagues ahead of what it used to be. And on a tablet, some of the additions are definitely appreciated. It’s not too far off from stock outside of visuals, and you get additions like a customizable navbar (you can move the buttons to the sides or keep them in the center on the fly with a swipe), smart resolution that will turn down screen resolution to save battery when needed, and Histen sound effects (if you consider that a good thing). Since the review has started, it has gotten a few updates and it now resides on the February 2019 security patch, so security updates aren’t particularly awful. However it is fairly new, so this might drop off later in 2019. Rocking a Kirin 659 processor and 3GB of RAM, this isn’t exactly a high end tablet. The processor is decidedly mid-range and 3GB of RAM isn’t plenty (though it’s plenty adequate). Thus performance can’t be expected to reach flagship levels. However, this tablet is fairly snappy. Unlike its higher end brothers, you will notice the occasional dropped frame from animations, but app loading and switching is pretty quick. Scrolling with a lot of apps loaded into the memory can also get a bit choppy, but again the performance is strong and satisfactory for the price. Gaming isn’t perfect but it’s pretty good. Games like Asphalt can be played with high quality graphics with decent framerates, with drops during intense moments like hitting other cars (and setting off particle effects and pieces flying off). PUBG is perfectly playable on balanced settings (as playable as it gets on mobile, where it’s never smooth). Just be sure to fire up Game Suite and set it to gaming mode, which will give you those extra frames. Don’t worry, battery life doesn’t tank when gaming anyway. Surprisingly, this budget tablet comes with a stylus in the box. It’s not the same stylus as the one in the MediaPad M5 Pro box though, but it’s not all that different. The nicer stylus charges over USB-C, has two buttons, and has a nicer feeling tip. This one uses a AAAA battery like the Surface Pro 4 stylus and has no extra buttons, but it’s still a one piece metal design. As far as navigating, drawing, and playing games, it works great. It’s a similar active tech to the Samsung S Pen so you can expect great performance and accuracy. How useful is it? Unless you’re doing drawing, not very. There’s also no place to store it so you’ll likely end up forgetting it at home most of the time. We’re glad to see it included, but whether anyone will use it is another story. It’s a tablet camera. What do you want to hear about it? Images are noisy, soft, and often blurry. 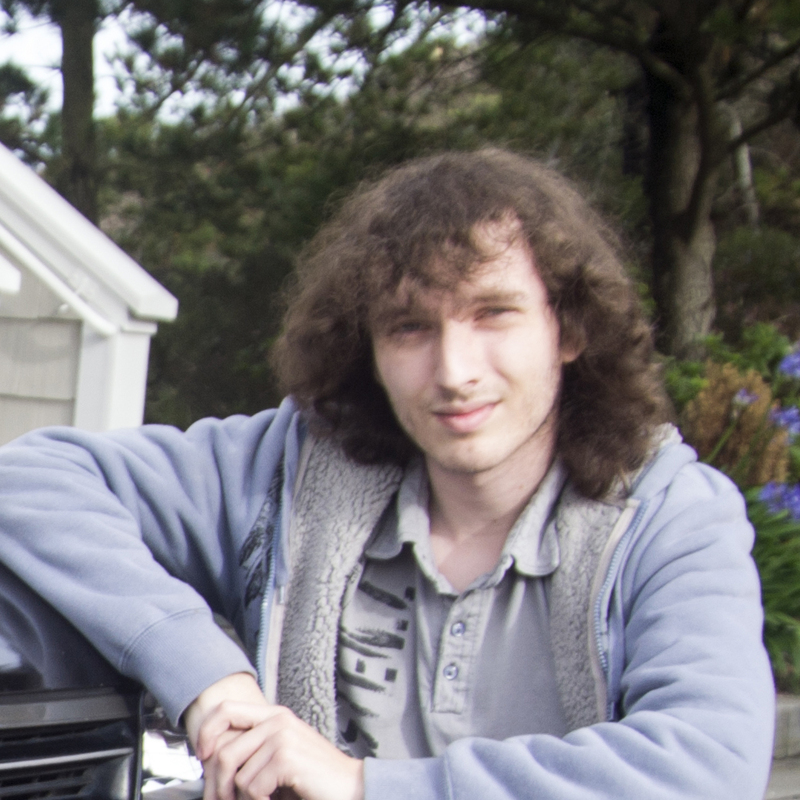 Bright light is washed out thanks to poor dynamic range. Is it awful? No, not really. Should you be using it? Nope. It’s a tablet, not a phone. Don’t bring it to the Grand Canyon expecting photos worth great memories. Thanks to the beefy 7,500 mAh battery, this tablet tends to last quite a while even during hard use. Despite the bright display and relatively powerful speakers, watching YouTube or Netflix isn’t going to substantially drop the battery life throughout the day. Standby time could be better, as coming back to the tablet after a few days often reveals a low or dead battery after some initial use. Its hibernating state, even with few apps, isn’t the greatest. However this is easily offset by its supported 18W fast charging and convenient USB-C port placement on the side rather than the bottom. 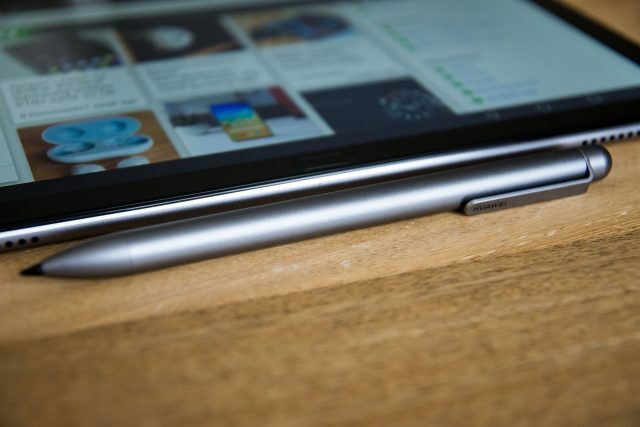 The Android tablet market is a bit barren, so competition isn’t running wild by any means. 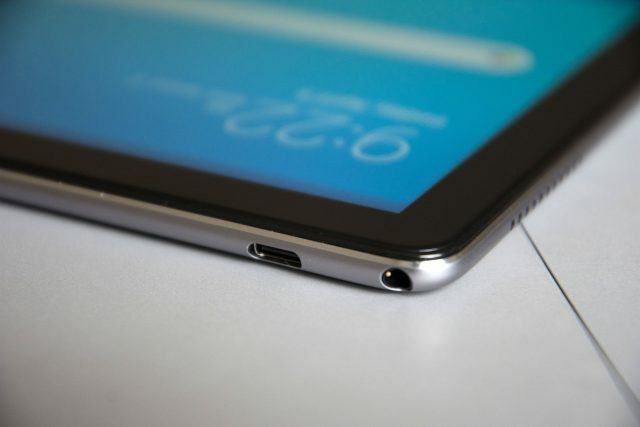 The closest competitor to the MediaPad M5 Lite seems to be the Samsung Galaxy Tab A 2018, which has a similar display size and resolution, storage, RAM, and Android version. But it ships with a Snapdragon 450, a 200mAh smaller battery, microUSB, and a $30 higher MSRP. Looking at it from that perspective, the M5 Lite is a great value. However the MediaPad M5 8.4-inch is only $20 more and features much higher end specs, so if you’re okay with a smaller tablet, that’s a better choice. 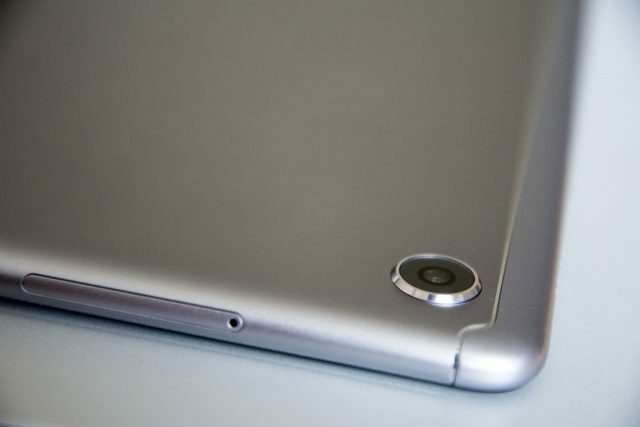 But if you’re set on a 10-inch tablet, the M5 Lite is an excellent choice for media consumption. The speakers seal the deal. You can pick one up here for $299.99! And don’t forget to pick up a case or screen protector to protect your investment.